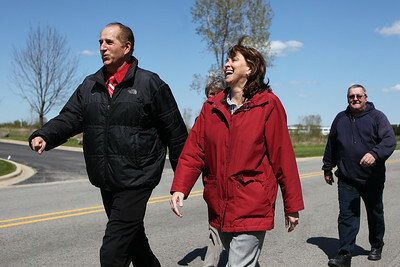 Mike Greene - mgreene@shawmedia.com David Good (left), Jackie Wagner, and Joe Foreman walk as part of a Medcor wellness program Monday, April 23, 2012 in McHenry. Medcor started a company-wide wellness program in January where employees can challenge one another with walking goals and other activities. 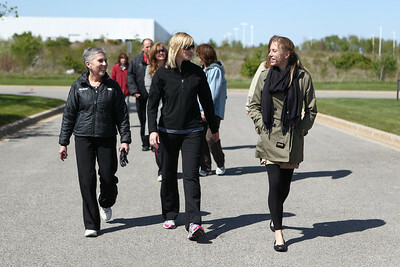 Mike Greene - mgreene@shawmedia.com Kristy Kolar (left) and Marlena Wagner walk as part of a Medcor wellness program Monday, April 23, 2012 in McHenry. Medcor's Wellness program offers participants pedometers to keep track of how much they walk in an effort to promote healthy living. Mike Greene - mgreene@shawmedia.com Heather Klaus, Sarah Humpa Monday, April 23, 2012 in McHenry. 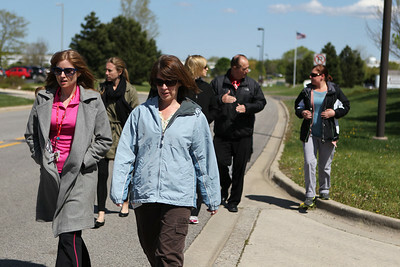 Mike Greene - mgreene@shawmedia.com Medcor Wellness program manager Heather Klaus (left) and Sarah Humpa walk with a group of co-workers as part of a walking program Monday, April 23, 2012 in McHenry. Medcor's Wellness program offers participants pedometers to keep track of how much they walk in an effort to promote healthy living. Mike Greene - mgreene@shawmedia.com Marlena Wagner, Kristy Kolar, Kate Woldhuis Monday, April 23, 2012 in McHenry. Mike Greene - mgreene@shawmedia.com Anne Nagle, Kristy Kolar, Marlena Wagner Monday, April 23, 2012 in McHenry. 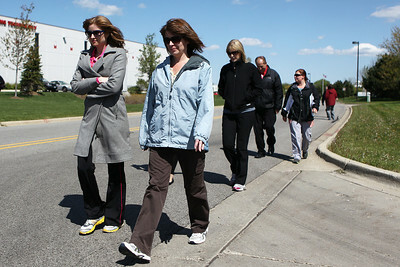 Medcor Wellness program manager Heather Klaus (left) and Sarah Humpa walk with a group of co-workers as part of a walking program Monday, April 23, 2012 in McHenry. Medcor's Wellness program offers participants pedometers to keep track of how much they walk in an effort to promote healthy living.